My dog’s eyes look cloudy. Why is that? 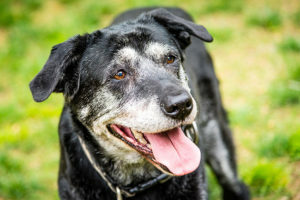 Aging dogs get physical changes just like humans. If your dog’s eyes are changing, see a veterinarian to determine if it’s a condition that should be treated. The most common reason for cloudy eyes is called Nuclear Sclerosis. The condition is painless and comes gradually with time. Dogs are good at adjusting to minor changes in their vision, and they get by just fine without seeing as clearly as they used to. Nuclear Sclerosis usually affects both eyes at the same time. Your dog should see a veterinarian to determine what the condition is. Some changes in the eyes are painless and harmless, but others should be treated.